Farm management software manages and optimizes the production activities and operations of farms. Farm management software automates the recording and storage of data, facilitates the monitoring and analyzing of all farm activities, and streamlines production and work schedules. This software helps farmers improve the best production and profit rates of their crops by giving them access to analytics on their specific crops, environmental conditions, and finances. Farm management software and crop management software solve overlapping agribusiness concerns, but the scope of the former is larger. The cost- and resource-saving benefits of farm management software are amplified by precision farming solutions. Specialized farm management solutions exist, tailoring the record-keeping and farm production monitoring functionalities to the business needs of dairy farms, cattle farms, poultry farms, etc. Farm Management reviews by real, verified users. Find unbiased ratings on user satisfaction, features, and price based on the most reviews available anywhere. Created with farmers, Conservis is an easy-to-use farm management system that helps growers work smarter, not harder. Gather, analyze, and report on data all in one place. Troubleshoot in the moment and see the big picture. Farming is a complicated business. Conservis helps you streamline and simplify in all stages of the growing process. The farm-smart Conservis team will be working with you to get things up and running fast and along the way. Lead your farm profitably into the future. 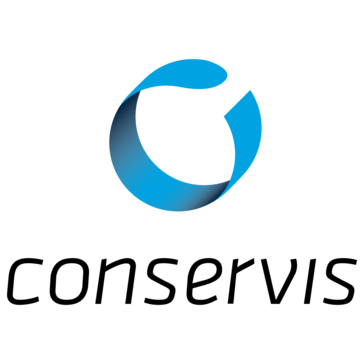 Founded in 2009, Conservis is based in Minneapolis, MN. Industry-leading farm management software tools with the operational, financial and agronomic information you need to make the best call every time. 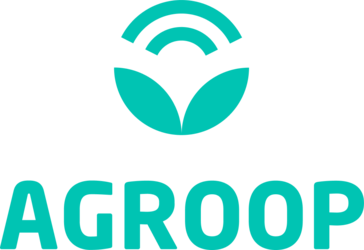 Agroop Cooperation is an app that works together with Stoock, a multi-sensor that gathers data about the crops and the sends them to the app. There, the user can manage water needs, prevent plagues and diseases, access weather data, and more. PickTrace provides labor and harvest management with real-time analytics to the agriculture industry. AEGRO is a farm management software to plan crops, control costs and get everyone working together. AFS Connect offers a farm management system that provides a real-time dashboard access to equipments on any device. AgCloud provides internet based technology in farming communities. Ag-Finance is a farm management solution. AgOS Grower Access is a web-based application that shares real-time agronomy information with growers. AgOS Mapping is a mapping tool designed to combine high-resolution aerial or satellite images with GIS orientation, providing mapping capabilities to the AgWorks suite. AgOS Operations is the management core for AgWorks software, handling the complexities of retail operations. AGRanger is a set of cloud-based productivity farming tools designed to help farmers and their teams collaborate and manage their fields from anywhere through the web and mobile devices. 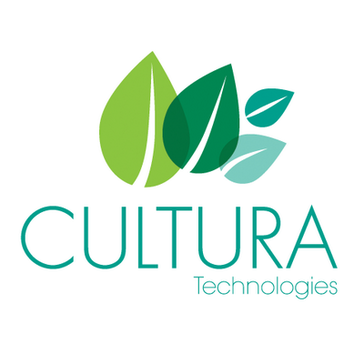 Agricolus is a platform for precision farming designed to optimise the work in the field and provide agricultural operators with decisions support systems. Agrimap is a farm management software designed to help farms improve efficiency, profitability, and sustainability. AgriTech Analytics (ATA) is a certified dairy records processing center. High end Herd Management and Farm Automation for beef fattening farms. Especially designed for mid-large scale farm operations. From feed bunk management to abattoir automation.. Probably the most advanced Herd management on the market. Agri Tracking Systems is a farm management software with features for irrigation tracking, field and crop management, lab sample storage and analysis, mapping and field scouting. AgriWebb offers a farm management and record keeping app designed to drive more efficient and profitable farms. AgriWebb is a livestock and agricultural farm management software. 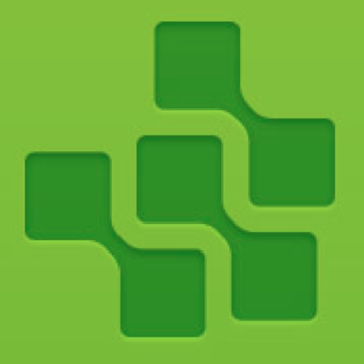 AgriXP is a platform designed by farmers and their crop consultants to track field data. The AgroGuide agronomy management system for improved crop planning, field history, spatial management, formulation, blending, invoicing, and reporting in a single system. Agroptima is a software and mobile app designed to help farmers manage their farms easily and on-the-go. AgroSoft is a database software product designed to handle the information system demands faced by modern agribusiness. AgSquared is an online farm planning and management software. AgVision develops software and technology solutions for agribusiness. Web-based barn management software that organizes and streamlines your barn. Helps to produce high-protein food commercially - because we want you to be successful. If you are to work economically, automation and cost-conscious management are essential prerequisites. Blue Skies is an accounting software for agriculture. Boxcar Central takes vertical farming to the next level by providing the tools you need to monitor and wirelessly control all aspects of your indoor growing environment. Whether you are a small indoor farmer or you operate a commercial greenhouse, Boxcar Central will fully automate your growing operations, from seed to sale. DigitalBeef is an information tracking and data banking company for the beef cattle industry. CattleBytes is a feedlot management software, designed to meet the needs of small to medium sized feedlots. Cattle on Feed is a program designed to help run pasture cattle or feed cattle in multiple feedlots. CenterPoint Accounting is a farm accounting software designed to help users manage their farm_s finances and profitability with software specifically for agriculture. Cloudfarms Pig Production Management System is a cloud based multi-sited pig production management system for large and efficient farms. Cow Sense Suite is a beef management tool. Cropolis is a local food sales and marketing platform designed to offer what farm or distributor need to sell directly to their business community. Why Use Farm Management Software? Farm management software is useful for a variety of reasons in the farming industry and has proven essential to farmers, growers, and agronomists alike. Resource Accountability — Farm management software keeps track of agricultural resources, including chemicals, livestock feed, and machinery. Not only do farmers have the ability to monitor resources, but they also have the ability to maintain a resource budget and ensure resources are being used efficiently and properly. Reporting — Farm management solutions offer useful analytics involving a farm’s ecosystem. For example, the ability to anticipate and prevent risks associated with adverse weather or an influx of pests, as well as the ability to measure soil quality, helps farmers stay ahead of the game when it comes to maintaining the best possible crop production. Labor Cost Savings — With streamlined and automated processes, farm management software is cost-effective in terms of labor savings. Basic crop monitoring tasks are easily handled by farm management software. Who Uses Farm Management Software? Farmers — Farmers benefit greatly from farm management software and generally take advantage of the main features, including crop and field management, livestock management, and inventory management. Streamlining crop monitoring, livestock monitoring, and other central aspects of farming is both cost-effective and resource-effective. Growers — For growers, farm management streamlines the important aspects of growing and harvesting, such as weather pattern monitoring, mapping, and crop management. Agronomists — An agronomist is a soil management and crop production expert. Farm management software helps agronomists understand crop profitably, as well as track soil and crop samples. Agronomists can also use crop reporting tools within farm management software to better understand the impacts that weather and other uncontrollable patterns have on crops and soil. Large Farm Management — For large farms, an integral benefit farm management solutions can provide is large-scale farming insights. The larger the farm, the more difficult it is to keep track of compliance issues, livestock, and supplier records. Farm management solutions that are tailored to larger farms help standardize productivity and streamline all aspects of an enterprise farm. Small Farm Management — While the features are similar to the large farm version, small farm management software focuses more on providing easy access to crop information, farm health overviews, and inventory insights. Crop and Field Management — Farmers can easily monitor crop population with farm management software by using its crop reporting functionality. Field management insights involve rainfall analytics and crop planning. Mapping — Farmers can easily map their own farm to help visualize the placement of crops. Livestock Management — Farmers can keep track of their livestock, their feeding times, and locations. Financial Analytics — Farm management software offers a robust amount of financial analytics to help farmers keep track of the cost and potential sale price of crops all year round. Other financial-related features include budgeting tools, harvest and crop cost trends, and supplier cost records. Labor Tracking — For farmers that employ a multitude of field workers, labor tracking is a useful benefit. Labor tracking provides data that allow farmers to understand how much time employees are spending on the farm and where time is being spent. Inventory Management — Inventory management features include record keeping for farm essentials, such as supplies and chemicals. Items like machinery, fertilizer, seeds, and livestock feed are easily tracked within farm management solutions. Agricultural Compliance — Farmers have the ability to monitor the impacts that pesticides and other potentially harmful chemicals are having on their crops to meet the standards set by the government. Farmers can also easily access legal information within the software to keep up with general farming compliance. Field Image Recognition — Image sensors are changing the way farms nurture crops. Farmers can place sensors with image recognition and view their crops anywhere, anytime. Simply put, a farmer can check on whether or not certain crops need to be harvested by the push of a button, further advancing farm management software mapping capabilities. Drone Monitoring — Drone monitoring elevates the usefulness of general farm management software crop monitoring by giving farmers an aerial view of the entire farm. Additionally, drones can be used to efficiently spray fertilizer and drop seeds. Learning Curve — Once a solution gets implemented, there can be a learning curve due to a large number of complex features. Figuring out all of the processes, like setting up supply orders and understanding the reporting features, can take quite a bit of time, especially for new farmers. Luckily, many solutions offer customer service among the myriad benefits. Crop Management Software — Crop management software monitors and optimizes the crop production of a farm in a deeper way compared to standard farm management software. With crop management software, farmers can better understand the costs that impact overall crop profitability. Livestock Management Software — Livestock management software helps farmers record and track livestock. Livestock management products offer animal inventory management. This is a great supplement to farm management software that dives deeper into the logistics of owning livestock. Hi there! Can I help you find the best Farm Management solutions?